Tellabs improved its advanced fiber communication tools with the release of the PremMax 440 series of integrated access devices designed to support integrated voice and data on customer premises. By incorporating a Tellabs PremMax 440 into your network, you can boost deliverability and uptime while making your network more reliable for customer services. Whether you’re managing everything end-to-end or blending in some colocation capabilities with your offering, a refurbished Tellabs PremMax 440 from Worldwide Supply can be a reliable tool to increase your broadband access platforms and delivery capabilities. 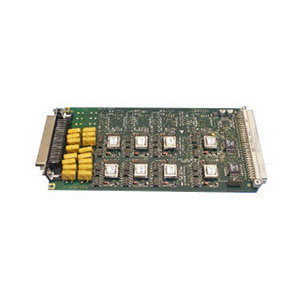 The PremMax 400 from Tellabs delivers robust transmission capabilities on T1, E1 and xDSL as well as internetworking and routing, voice services and remote management features with support for SNMP, HTTP and Telnet. For voice lines, you can scale from 8 to 32 ports, and the core unit features configurable trunks ranging from one to four T1/E1 or HDSL2 ports. One benefit many customers see when introducing a refurbished Tellabs PremMax 440 into their network is a boost to internetworking capabilities between TDM and packet networks. Bring together top-tier network management with multiple capabilities in a single unit, from router and digital access cross-connect to data and channel service unit capabilities as well as a channel bank. Any used Tellabs PremMax 440 is a powerhouse you can use to manage your network and grow as your customers demand.